The dollar stepped back from a 1-1/2-month high against a basket of currencies on Wednesday on speculation that U.S. President Donald Trump's choice for the next Fed chair could be a less hawkish candidate than some had expected. U.S. Treasury Secretary Steven Mnuchin favours Fed Governor Jerome Powell over former governor Kevin Warsh, Politico reported. Both Warsh and Powell were interviewed at the White House last week. While both are seen as serious candidates to replace current Chair Janet Yellen when her term expires in February next year, Powell is seen as more dovish than Warsh, who has criticised the Fed's bond-buying programme in the past. The dollar had rallied earlier this week on speculation that Warsh might be the leading candidate to replace Yellen, and got an extra boost from strong U.S. data. A more hawkish Fed candidate would likely prompt investors to bet on more aggressive normalization of monetary policy, to the dollar's benefit. Spain's King Felipe VI on Tuesday accused Catalan secessionist leaders of shattering democratic principles and dividing Catalan society while Catalonia's leader, Carles Puigdemont, said the region will declare independence in a matter of days. Uncertainties ahead of Japan's general election on Oct. 22, where Prime Minister Shinzo Abe faces a challenge from a new party formed by a popular Tokyo Governor Yuriko Koike, also clouded the outlook for the currency pair. It dropped to $1.3222 overnight, its lowest in almost three weeks, after data showing a surprise contraction in the construction sector stoked worries about economic uncertainty surrounding Britain's exit from the European Union. Adding to a sense of uncertainty, Brexit minister David Davis said on Tuesday that Britain is ready to walk away with no deal, and that officials were "contingency planning" to make sure all scenarios were covered. Gold prices gained in Asia on Wednesday with markets in China, Taiwan and South Korea shut for holidays and caution ahead of remarks later in the day from the U.S. central bank chief. Overnight, gold prices halted their recent slump after treasury yields trimmed gains pressuring the dollar to retreat from six-week highs lifting sentiment on the yellow metal. Gold prices were restricted to a narrow $7 trading range hovering above seven-week lows amid dollar weakness as investor’s awaited direction from top-tier economic data and a speech from Fed chair Yellen later in the week. Yellen will speak at the Community Banking in the 21st Century Conference on Wednesday amid growing speculation concerning her position as Fed chair. Fed Governor Jerome Powell and former Fed governor Kevin Warsh are reportedly on a shortlist of candidates to succeed Janet Yellen. Gold prices have fallen for three-straight weeks and show no sign of abating as data on Friday suggested that traders are losing faith in gold’s upside potential in the wake of renewed tax reform hopes and an expected year-end rate hike. Crude oil prices fell in Asia on Wednesday after U.S. industry estimates on inventories came in mixed, with the the U.S. benchmark edging toward $50. U.S. crude oil inventories fell by 4.08 million bbl last week, the API said on Tuesday, far more than expected while gasoline supplies gained 4.91 mn bbl and distillates eased by 584,000 barrels. Crude oil inventories were seen down by 467K bbl, while distillates likely declined by 1.1917 mn barrels and gasoline stocks rose 967K bbl. Official data from the EIA is due on Wednesday. The API and EIA figures often diverge. Overnight, crude oil prices settled lower on Tuesday, as investors awaited weekly inventory data expected to show crude oil supplies fell for a second-straight week amid concerns that the sharp uptick in crude prices could encourage U.S. shale producers to ramp up production. A day after crude prices fell 3% following a Reuters survey indicating that OPEC ramped up output in September, OPEC Secretary-General Mohammad Barkindo attempted to ease concerns over falling compliance with the deal to curb output. Compliance with the oil output cut deal between OPEC and non-OPEC nations is extremely high, OPEC Secretary-General Mohammad Barkindo said on Tuesday. Investors, however, weighed the bullish comments against expectations of an uptick in US shale output as the rise in crude oil prices - above $50 a barrel – has spurred drilling activity. The advent of autumn is traditionally associated with weaker oil demand as it marks the end of the summer driving season. That trend, however, could be less prevalent this year as refineries are expected to replace lost supply following earlier disruptions from Hurricanes Irma and Harvey. Gold on Wednesday made its intraday high of US$1274.58/oz and low of US$1268.21/oz. Gold was up by 0.126% at US$1271.69/oz. In daily charts, prices are above 50DMA (1267) and breakage below will call for 1234-1224. MACD is below zero line and histograms are increasing trend and it will bring upward stance in the upcoming sessions. RSI is in overbought region and more upside is expected before it gets stretched. Stochastic Oscillator is in oversold territory and giving positive crossover to confirm bearish stance for intraday trade. Based on the charts and explanations above; sell below 1279-1300 keeping stop loss closing above 1300 and targeting 1263-1253 and 1243-1230. Buy above 1263-1243 with risk below 1230, targeting 1279-1288-1294 and 1300-1311. Silver on Tuesday made its intraday high of US$16.65/oz and low of US$16.53/oz. Silver settled down by 0.362% at US$16.62/oz. Based on the charts and explanations above, buy above 16.35-15.00 targeting 16.70-17.00-17.30 and 17.70-18.00; stop breakage below 15.00. Sell below 16.70 -18.35 with stop loss above 18.50; targeting 16.80-16.50 and 16.00-15.60. Crude Oil on Tuesday made an intra‐day high of US$50.71/bbl, intraday low of US$50.05/bbl and settled down by 0.830% to close at US$50.15/bbl. Based on the charts and explanations above; sell below 51.00-53.00 with stop loss at 53.00; targeting and 50.10-49.60 and 48.90-47.80. Buy above 51.00-48.90 with risk daily closing below 48.90 and targeting 52.00-52.50 and 53.00-53.70. EUR/USD on Tuesday made an intraday low of US$1.1695/EUR, high of US$1.1773/EUR and settled the day up by 0.102% to close at US$1.1743/EUR. Based on the charts and explanations above; sell below 1.1800-1.2000 targeting 1.1750-1.1700-1.1660 and 1.1600-1.1555 with stop-loss at daily closing above 1.2000. Buy above 1.1750-1.1555 with risk below 1.1550 targeting 1.1800-1.1875 and 1.1930-1.1990. GBP/USD on Tuesday made an intra‐day low of US$1.3221/GBP, high of US$1.3286/GBP and settled the day by down by 0.725% to close at US$1.3236/GBP. Based on the charts and explanations above; short positions below 1.3360-1.3500 with targets at 1.3270-1.3200 and 1.3130-1.3030. 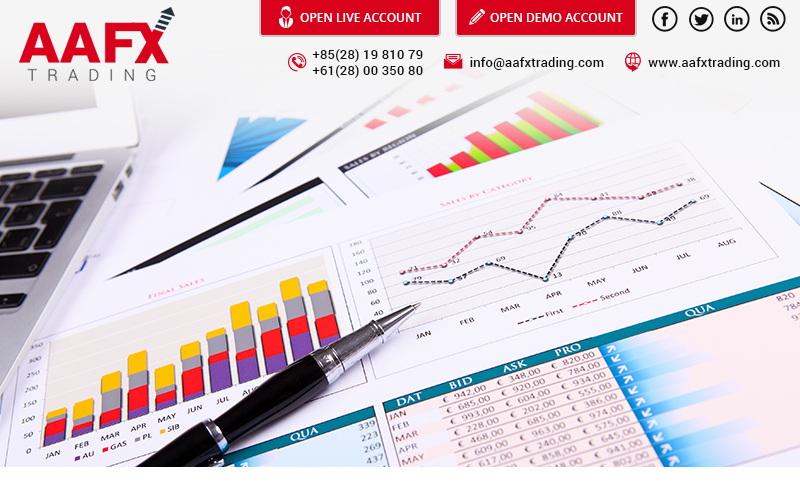 Buy above 1.3300-1.3200 with stop loss closing below 1.3200 targeting 1.3400-1.3450-1.3500 and 1.3610-1.3700. USD/JPY on Tuesday made intra‐day low of JPY112.61/USD and made an intraday high of JPY113.18/USD and settled the day up by 0.079% at JPY112.83/USD. Sell below 113.00-114.50 with risk above 114.50 targeting 112.80-112.30 and 111.50-111.0-110.35. Long positions above 112.80-111.10 with targets of 113.60-114.00 and 114.50-115.00 with stop below 111.00.